Up until recently there was just one model in the Olympus OM-D lineup, with that being the OM-D E-M5. 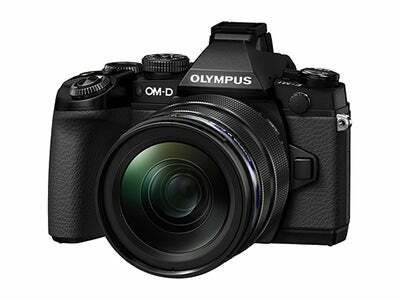 The number 5 in its product name suggested that their could one day be another variation and the recent arrival of the Olympus OM-D E-M1 slots in above the OM-D E-M5 as Olympus’s flagship mirrorless model. Designed to be smaller and more compact than a DSLR, the E-M1 is out to target photographers who don’t necessarily want the bulk of a cumbersome camera. To give you a better understanding of the key differences between these two cameras and to help you make your decision on which is best for you, we’ve picked out the key differences. The Olympus OM-D E-M5 was launched in February 2012 and at the time of its announcement cost £999 (body only). Since the time of its release, the camera began to drop below £900 in August 2012 and has continued to gradually fall in price ever since. At the time of writing (13/09/13), the cheapest price we could find for a black OM-D E-M5 was £769 from Amazon. Partnered with the 12-50mm kit lens, this was a combination that originally cost £1149 back in February 2013, but has since dropped to £904 – again with the most competitive prices being found on Amazon. 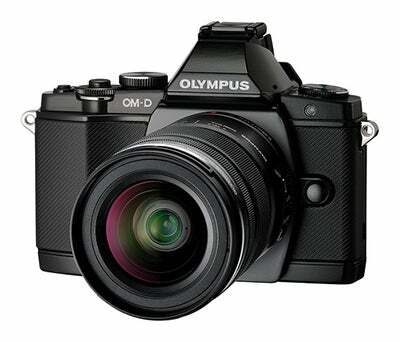 In comparison, the OM-D E-M1 was announced on the 10th September 2013 with a launch price of £1299 body only. Using the launch of the new OM-D as a good opportunity to release a new kit lens, Olympus also announced the M.Zuiko Digital 12-40mm 1:2.8 lens. Added to the price of the OM-D E-M1, it takes the cost up to just shy of £2000, or £1949 to be precise. The price difference between the OM-D E-M5’s body and the OM-D E-M1’s body was £530 on the 13/09/13. To find out what extras you get for you money, check out the next few pages where we disclose the technical differences.